What is better than a girl dipping and wiggling in her Chucks? Right, two girls. This was rather weird. 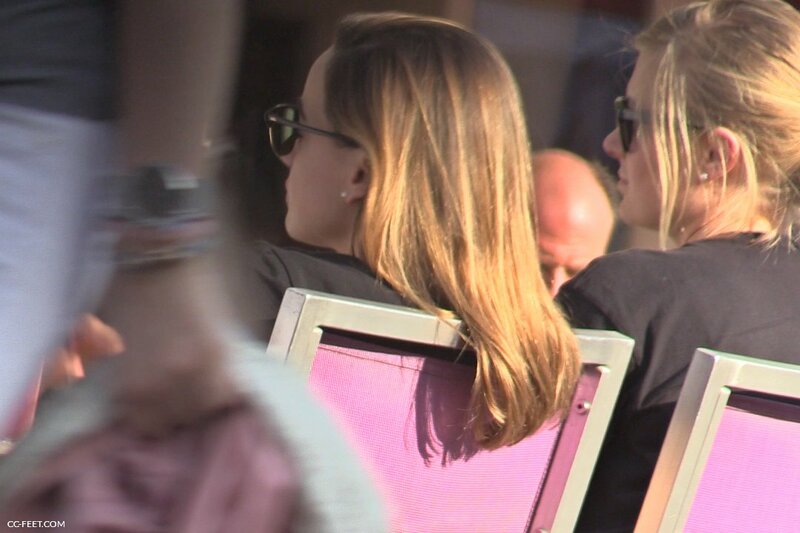 I saw these two pretty girls sitting next to each other. 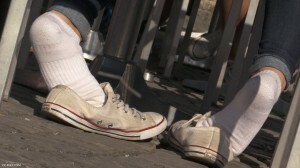 One of them was wearing creme coloured Converse Chucks and white sporty ankle socks. She was dipping her feet in her shoes and I started the cam. 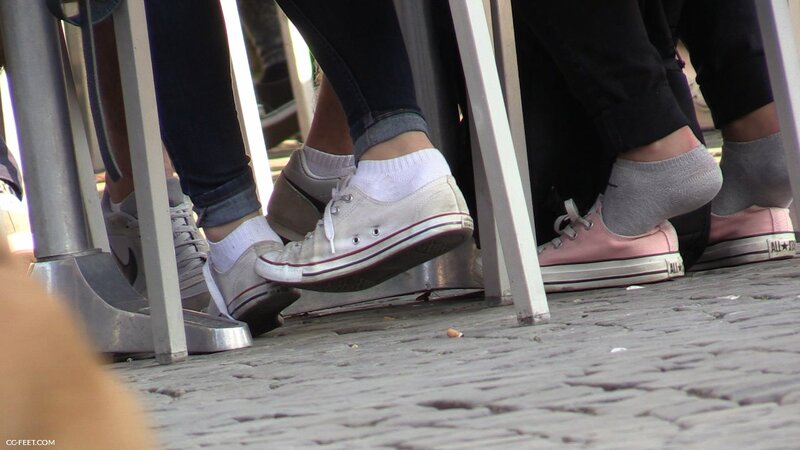 Until I noticed that her friend did the same with rose Chucks and grey ankle socks, what a dream. What to do next? I learned from the past not to be too nervous, so I focused on the left girl at first, but watched the right girl from the corner of my eye. She wasn’t overly active, so this was a good choice. The left blonde was wiggling most of the time in her sneakers, kind of massaging the tip of the inside sole with her toes. Definitely a joy to watch, especially because she moved out her socked feet a few times. Not much shoeplay though, rather a gorgeous dipping show of the girl. Eventually her boyfriend came back to the table and he did some footsies with her Chucks. But this isn’t the main part here, only a short moment. As the boys threw an eye on me I decided to leave the place and went a few meters away. From this angle I could capture both girls at once. A pity though, because there were so much people walking around. Couldn’t change the situation, but I got the most out of it and I was quite satisfied with the result.